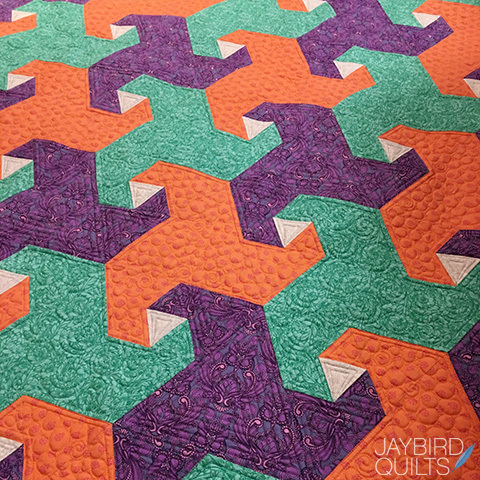 A New Jaybird Quilts Pattern: Trail Mix! Meet Trail Mix! 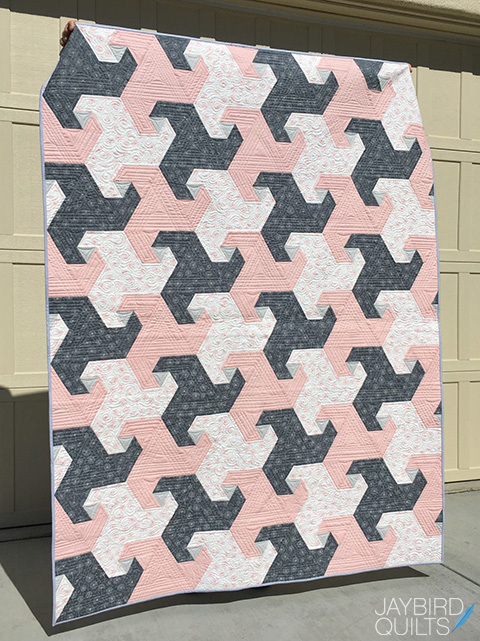 This is my spin on a traditional Snail's Trails quilt design using 60-degree triangles (and no Y seams!). 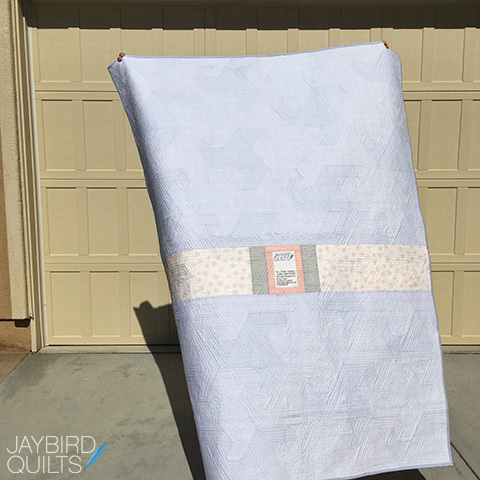 Quilt Details Fabric is Whisper by Dear Stella Pattern - Trail Mix, JBQ 163 Designed by me Quilted by Angela Walters Started on 3/9/16 Finished on 3/19/16 Quilt measures - 56" x 72"
This was one of the easiest and fastest pattern cover photo shoots ever. We found this perfect wall to photograph the cover of the pattern. Luckily this one parking spot was open so I could get the right angle. It was the only open spot in the entire lot! 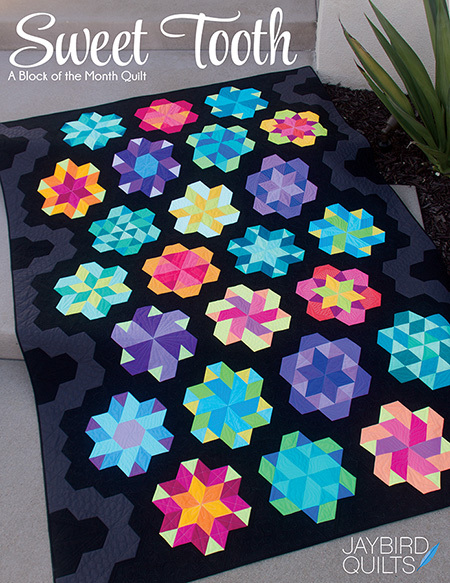 This photo really shows off Angela's quilting. 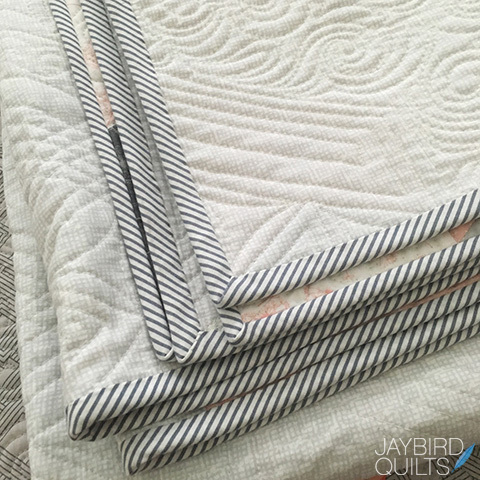 I love cutting stripes on the bias for binding! 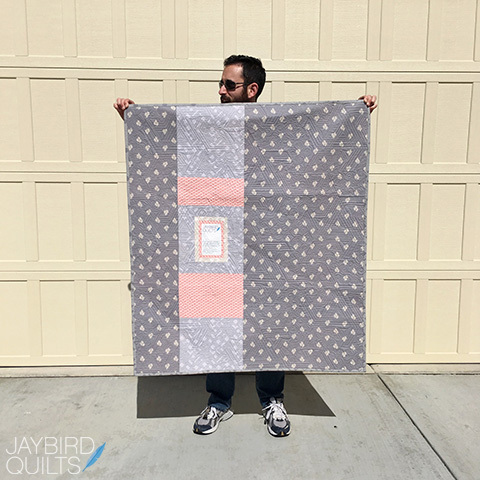 Here you can see the pieced backing I made with my quilt label. 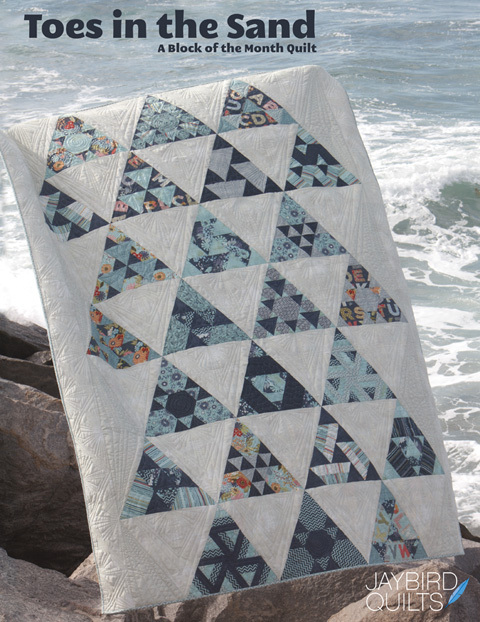 Here's a detail shot of Angela's quilting in the smallest triangles in the quilt. Trail Mix is made using my Super Sidekick ruler (click the link to see a video tutorial of how to use the ruler) and there are no Y seams! 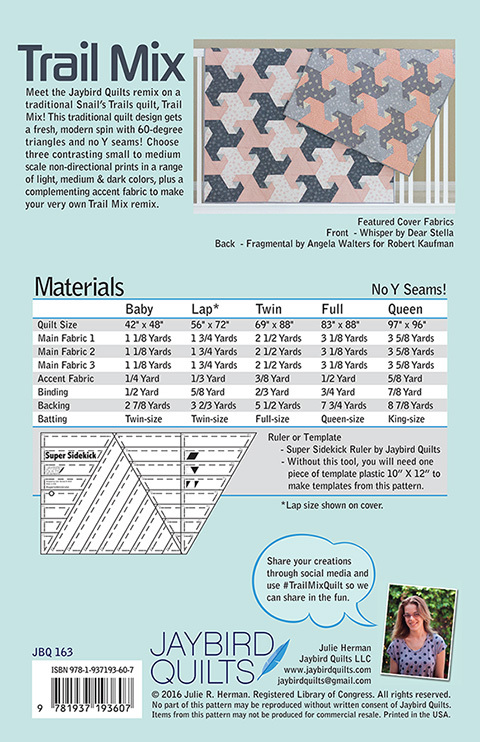 The Trail Mix pattern is printed in full color, includes templates and comes in 5 sizes (baby, lap, twin, full, queen). Here is the baby (right) and the lap (left) together. This Trail Mix that I made from Angela's Fragmental fabric is a perfect match for my living room! Quilt Details Fabric is Fragmental by Angela Walters for Robert Kaufman Pattern - Trail Mix, JBQ 163 Designed by me Quilted by Angela Walters Started on 1/19/16 Finished on 3/16/16 Quilt measures - 42" x 48"
Here's the pieced back. 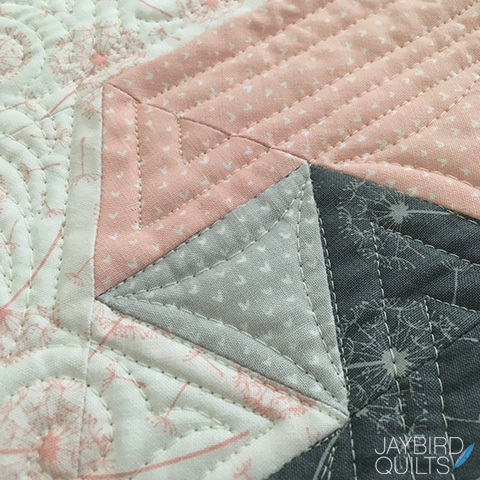 I used up a bunch of leftover scraps from the front in my pieced label strip. 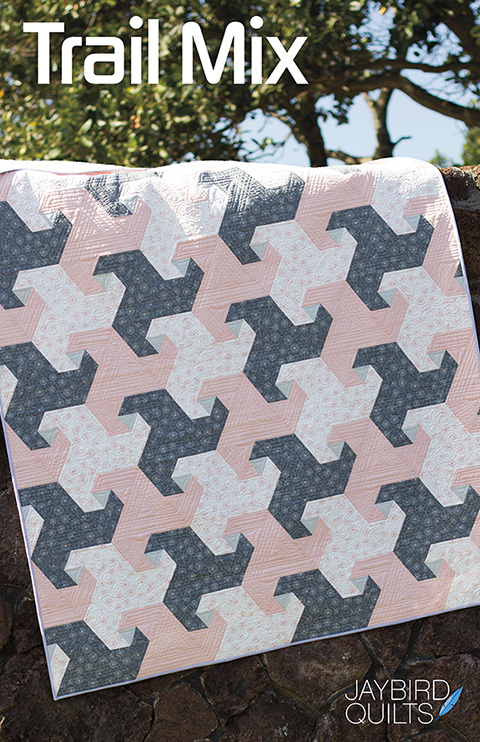 Here's a Trail Mix quilt in True Colors by Tula Pink. 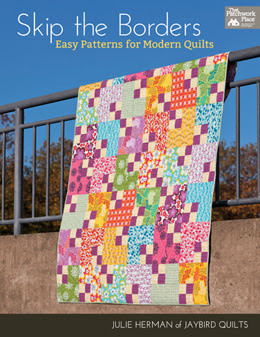 This quilt top was pieced by Leslie Meltzer and quilted by Teresa Silva. Trail Mix will be shipping to local quilt shops soon. 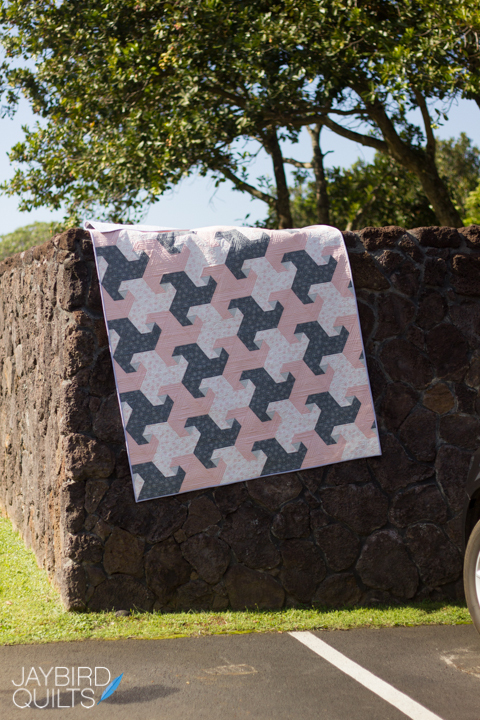 Be sure to share photos of your Trail Mix quilts on social media using #TrailMixQuilt so we can share in the fun! 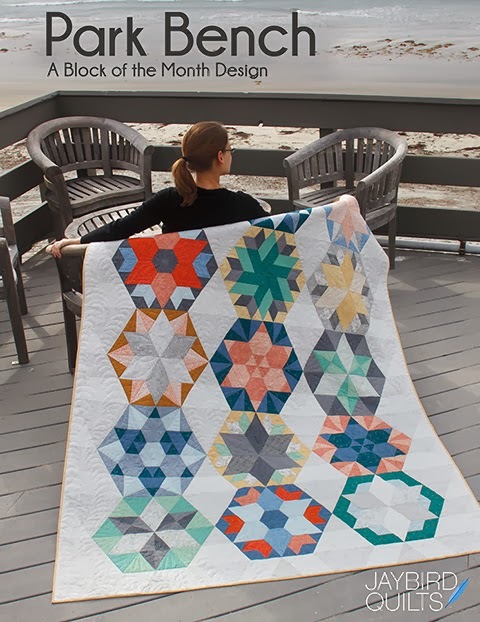 I'm ready to make this one! So cute! 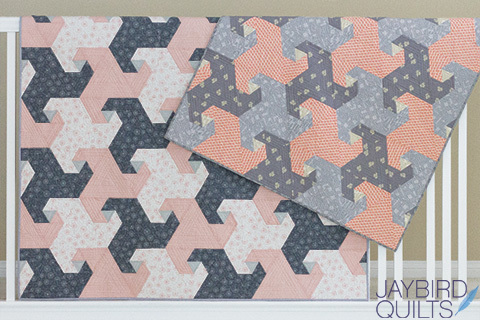 I love your new quilts made from your latest pattern design. 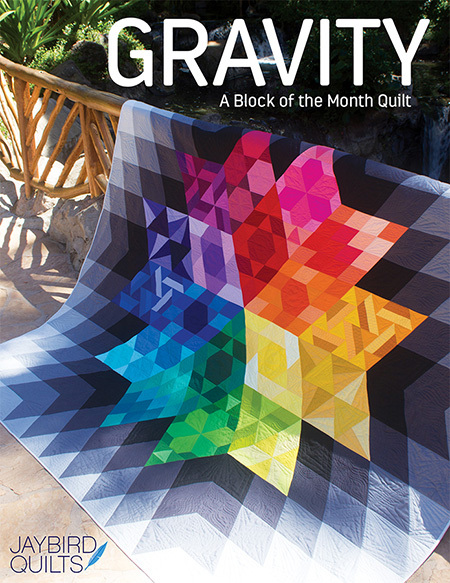 I'm especially amazed how different your pattern seems when a quilt is made then pictured in what appears to be extreme opposite colors. Thank you for sharing! 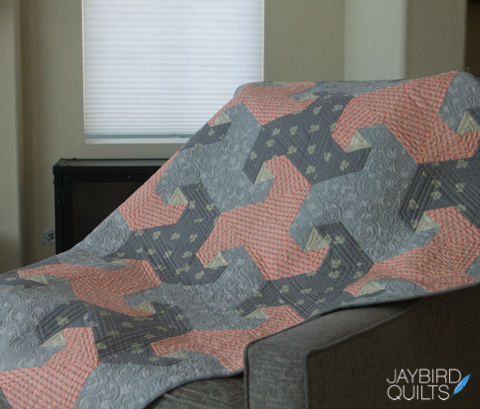 The Latest Jaybird Quilts Pattern: Set Sail! 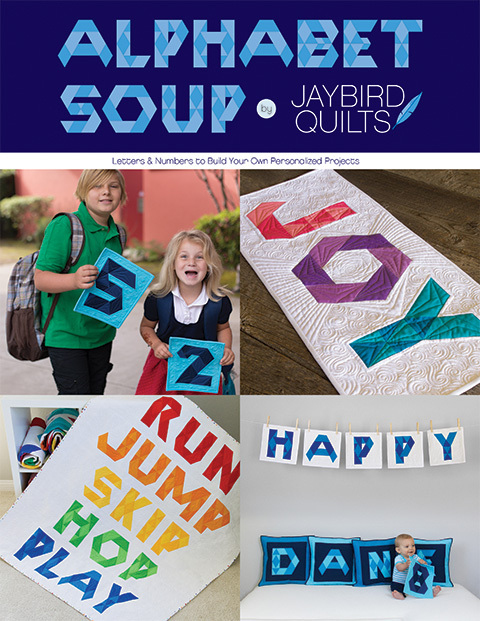 Introducing the Jaybird Quilts Coloring Book!!! 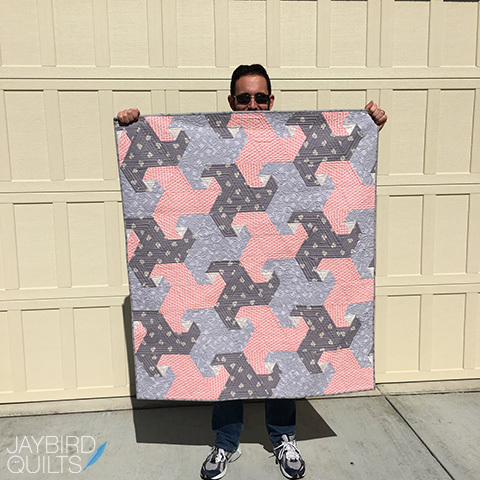 New Jaybird Quilts Pattern: Sprinkles Baby Quilt!